I was asked to paint a 10'x16' mural for will.i.am's charity "I Am Angel Foundation". 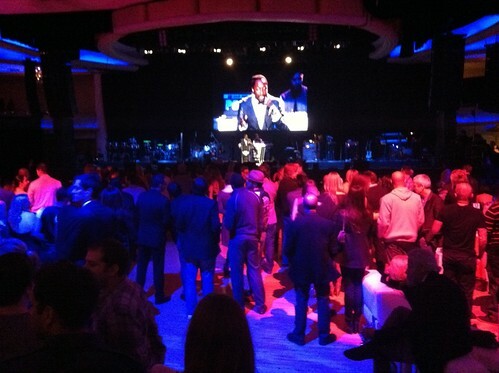 The star studded event and pre-Grammy party called TRANS4M BOYLE HEIGHTS featured live performances by the legendary Stevie Wonder, Ne-Yo, Flo-rida, and the Peas of course (minus Fergie). Here are pics of my mural and the event itself. Congrats to the I Am Angel Foundation for raising $5mil to help support youth in Boyle Heights! So I painted a set for the Black Eyed Peas for this new commercial. The concept of the commercial is actually pretty cool. I did a lil piece on a wall for Will.I.Am to get lost in. 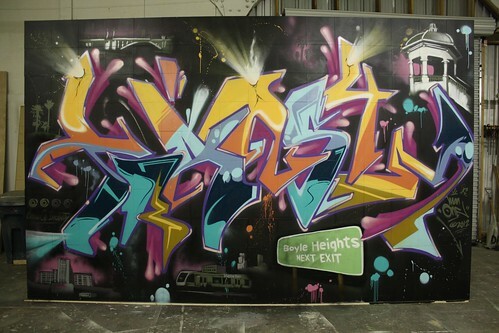 Here's the video and some behind the scenes...and oh yeah, the graff piece I did says MAN! she was actually very nice and down to earth. Big ups to my homegirl Patricia!